27 | July | 2008 | Somethings Unique! I am always up for a challenge! I had to make a cake this weekend. 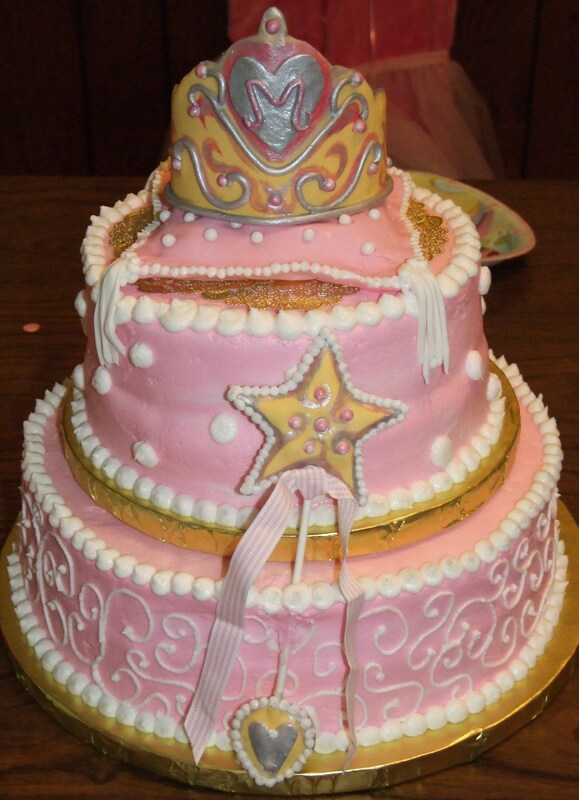 It is a Princess crown cake. The cake frosting is Buttercream and I piped all the details. 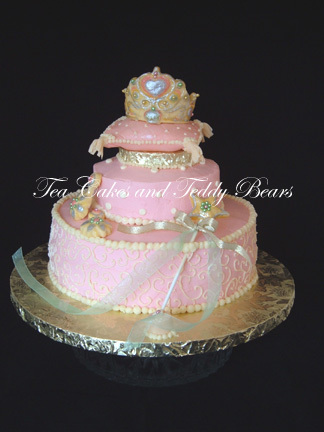 The wand and the crown where constructed with Fondant. Not my favorite thing to use as a frosting but I like it to make the detailed additions to the cake. It takes time but the results are far greater than buttercream. So My friend needed this cake for her daughters 3rd birthday. The birthday girls name is Micah. Happy Birthday. On the crown I put the letter M. I surprised myself on this one. I am posting a photo of the cake I made and a photo of the picture my friend emailed for me to copy. My cake! The cake I copied!